Exciting news: I’m part of Frosted Plan-It‘s new design team! 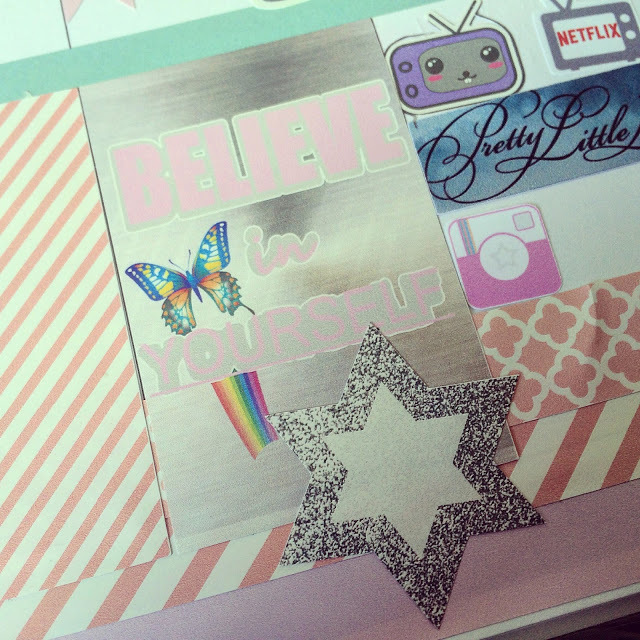 If you’ve read my blog for a while, you’ll know that I am obsessed with my planner. I’ve been following various Etsy shops on Instagram for a while and have recently started applying to be part of their design teams. Tara from Frosted Plan-It surprised me when she emailed me saying I’d been accepted onto her team! Along with two other lovely ladies, Michelle and Loretta, we will be showcasing Tara and her shop and all of the amazing stickers she has to offer! I couldn’t believe all of the goodies I was sent! I was completely overwhelmed by the whole package! 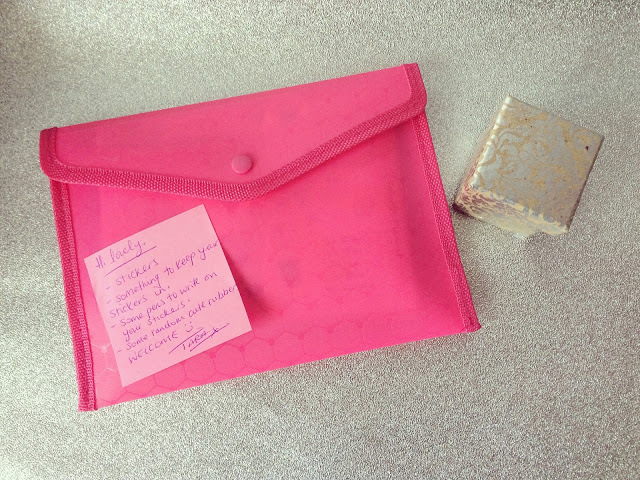 There were stickers, pens, rubbers, a folder and a notecard, a whole lot more than I thought we would receive! 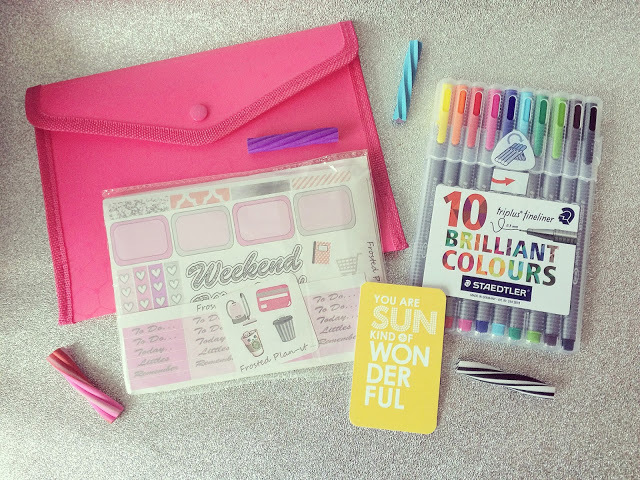 Stickers are at the heart of the planner world as they seem to be what we all use on a regular basis. I mostly use weekly kits and then add in a few extras, what I like to call functional stickers. I was thrilled to receive a kit as this meant I could use it as soon as possible! 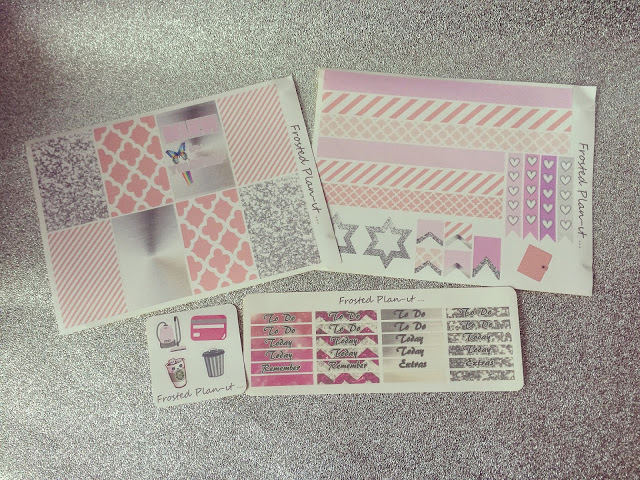 I love the mixture of washi strips as these fit perfectly into my Happy Planner. I also love a checklist sticker as I’m a huuuuuge list maker! Half boxes are useful for me as I use them to note down my work shifts as this means I don’t do much during the day other than work! 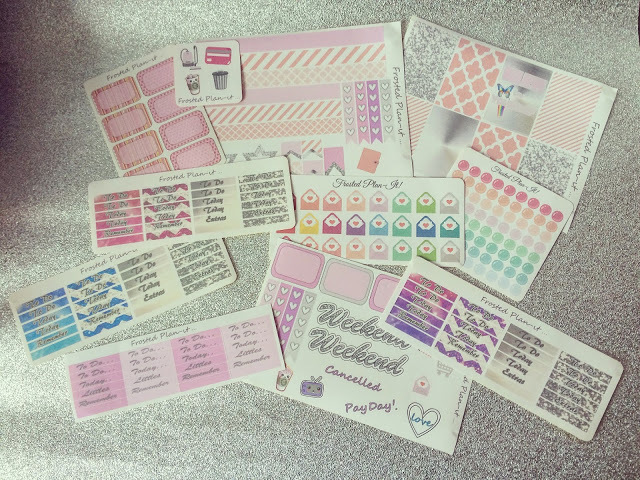 Weekend stickers will always come in handy for me as not many shops seem to sell them! 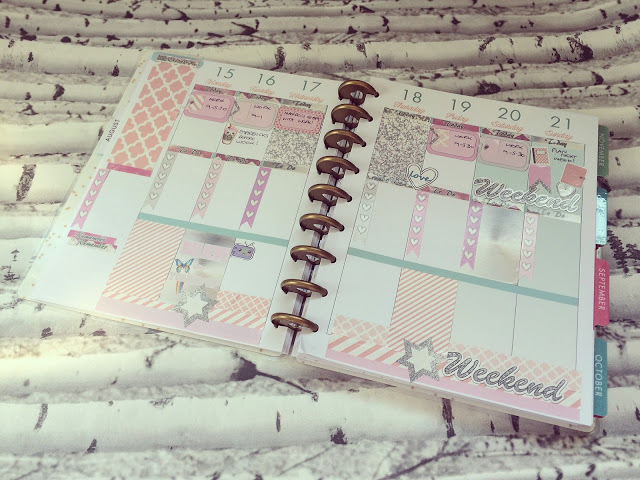 I’m in love with these glitter headings as often in weekly kits, shops don’t provide enough! 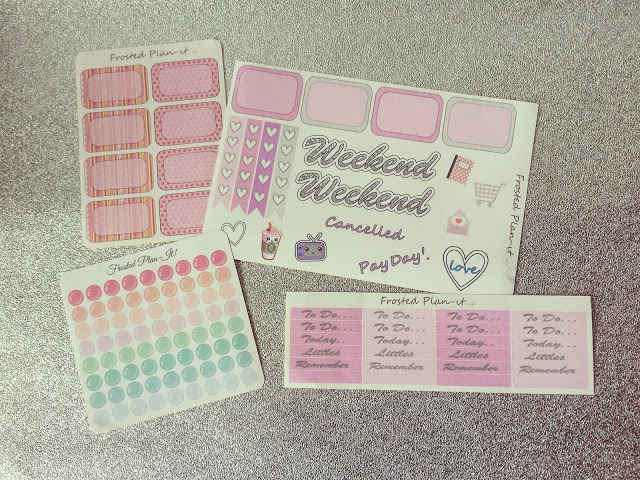 And how cute are these multi-coloured happy mail stickers? I can put them in my planner when I know I have mail on the way! Using the stickers Tara sent me, I decided to create my weekly layout. I’m really happy with how it turned out. It’s weird because I’m not someone who would usually gravitate towards buying a pink and silver glitter kit but the mixtures of pink really set this kit aside from others I’ve seen. Let’s face it, who doesn’t need a motivational quote to give them a boost? 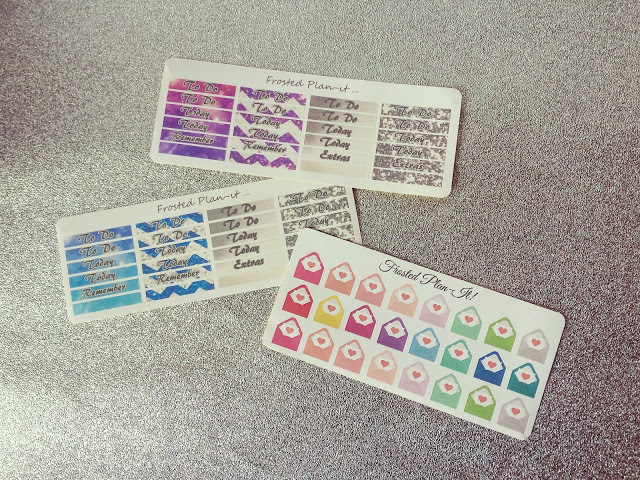 If you like the look of these stickers, you can get 10% off at Frosted Plan-It by using the code SIAN10! *I was sent these stickers as part of the Design Team but all views are my own. I have previously bought from the store and have loved the stickers since then!